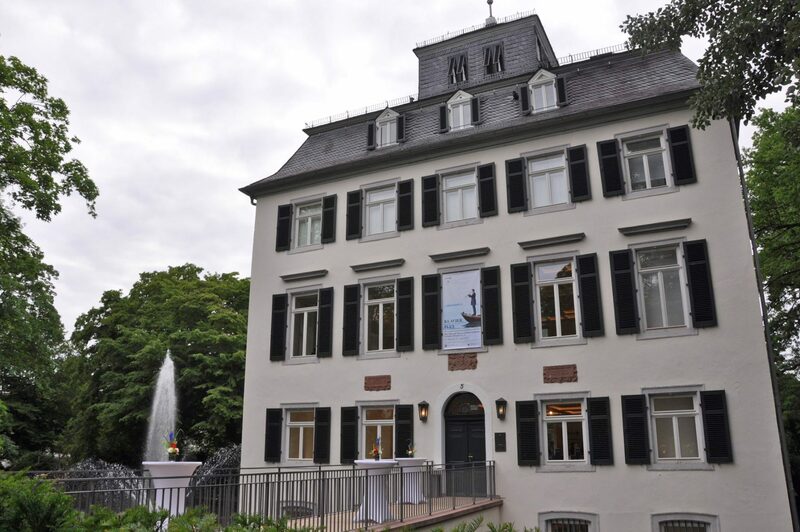 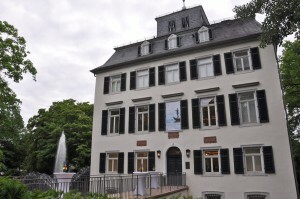 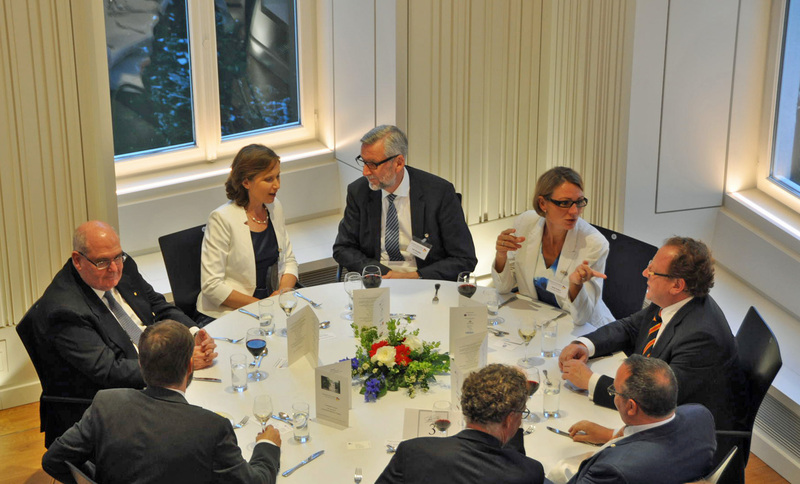 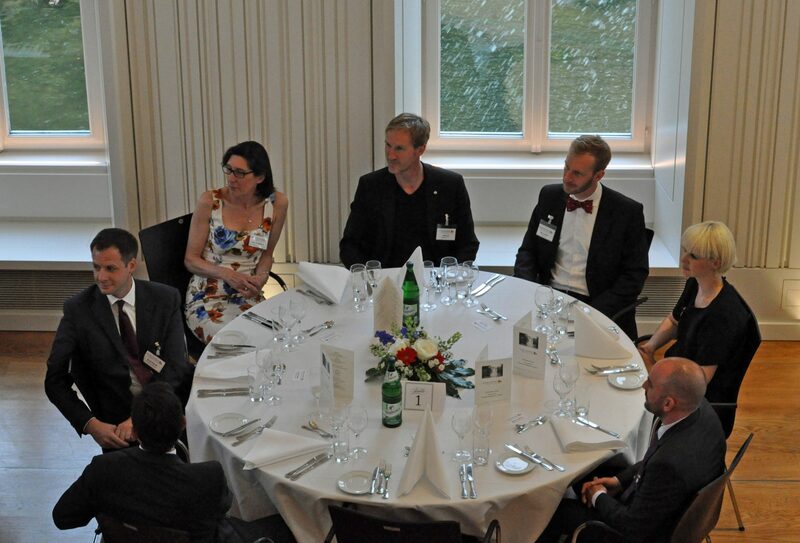 The Annual Ambassador’s Dinner was held on Wednesday 10th June at the newly renovated Holzhausenschlösschen in Frankfurt. 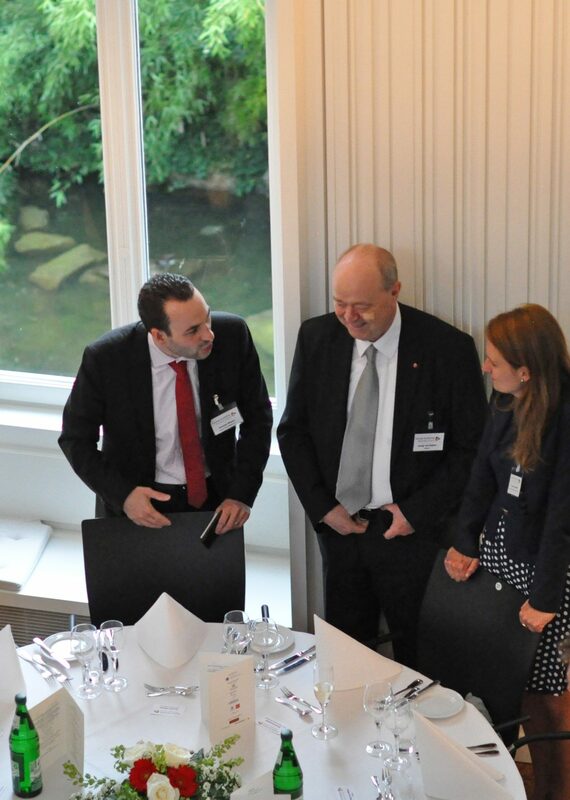 We were delighted to be joined by the Australian Ambassador, H.E. Mr David Ritchie AO. 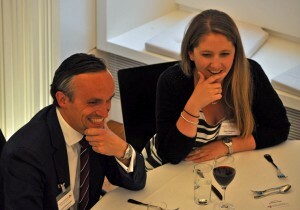 We were also delighted to see so many of our members in attendance along with some of their corporate guests. 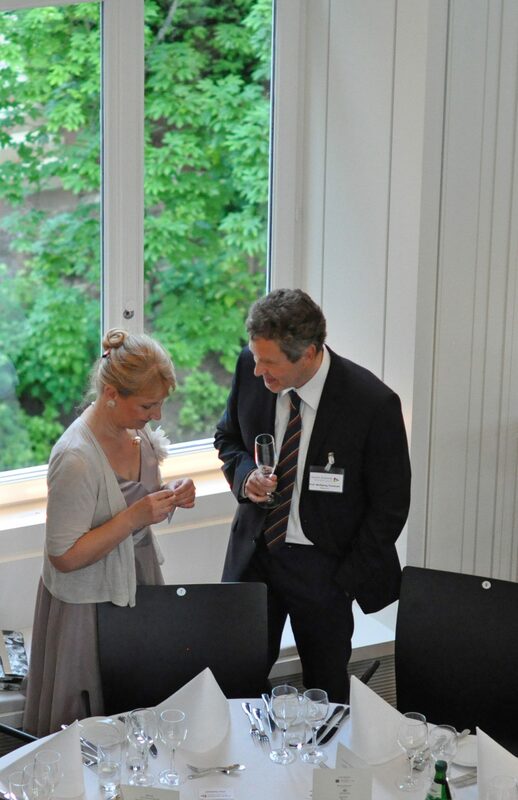 The evening commenced with pre-dinner drinks and canapés in the downstairs foyer area. 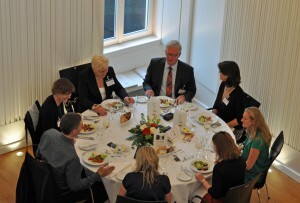 We then moved to the main reception room upstairs for the dinner and speeches. 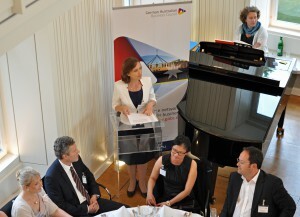 Sabine Pittrof, Chair of the Board welcomed the attendees and his Excellency David Ritchie to the event. 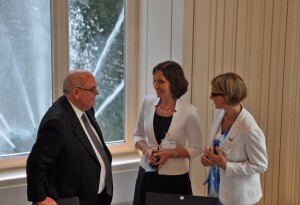 The Ambassador’s address focused on the new German Australian Advisory Group that was established by the German Chancellor, Angela Merkel and the Australian Prime Minister, Tony Abbott following the G20 Meeting in Brisbane in 2014. 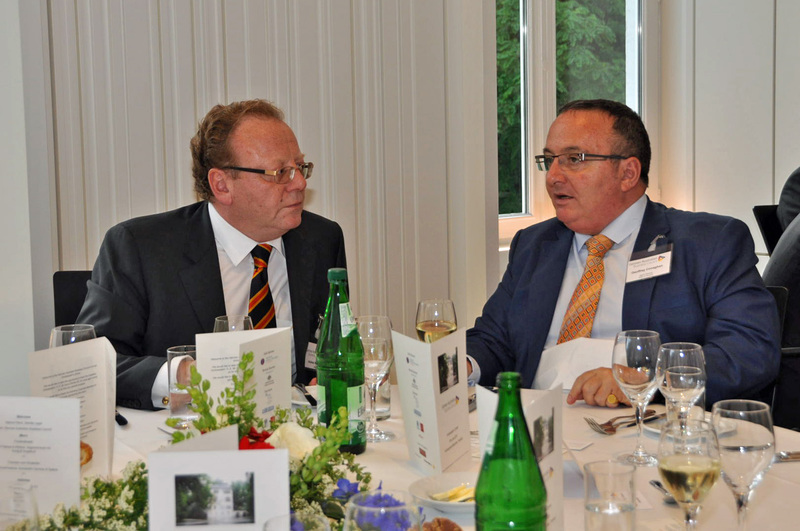 Mr Ritchie outlined the current status of the trade relationship between Germany and Australia, the joint benefits that can be pursued and new initiatives that may be undertaken. Mr Ritchie appealed to those in attendance to submit their thoughts and ideas to the committee before its next meeting in July 2015. The evening was accompanied by the musical talent of Ms Kristin Voigt on the Holzhausenchlösschen’s magnificent Bösendorfer grand piano. 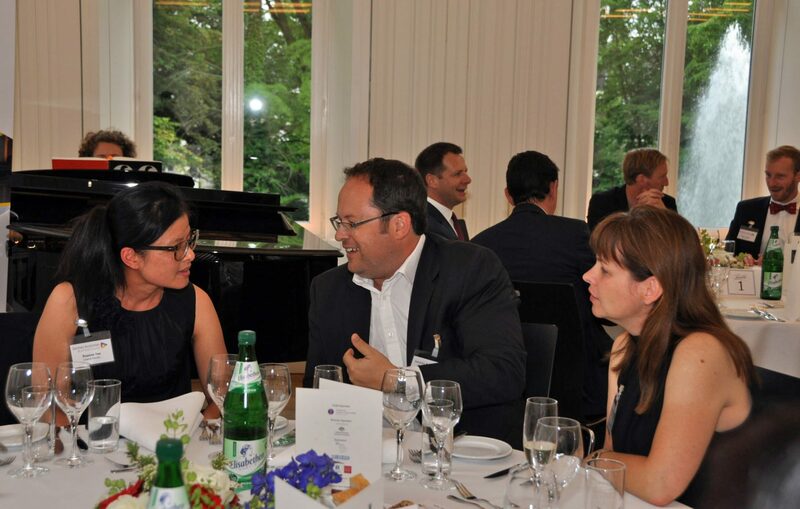 Events such as the Ambassador’s Dinner would not be possible without the generous support of our Corporate Members. 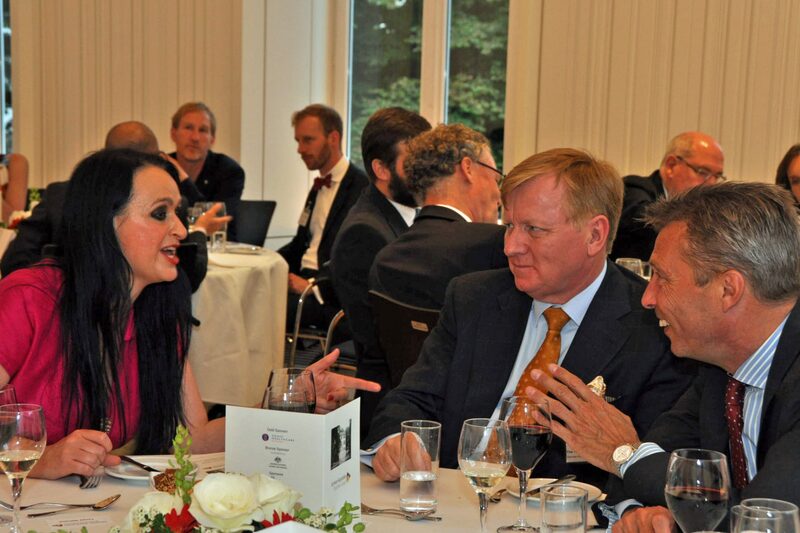 Sonic Healthcare (Gold Sponsor), the Australian Trade Commission (Bronze Sponsor) and our further sponsors; Forum Rechtsanwälte, the Melbourne Business School and Adina Apartment Hotels who all supported this event. 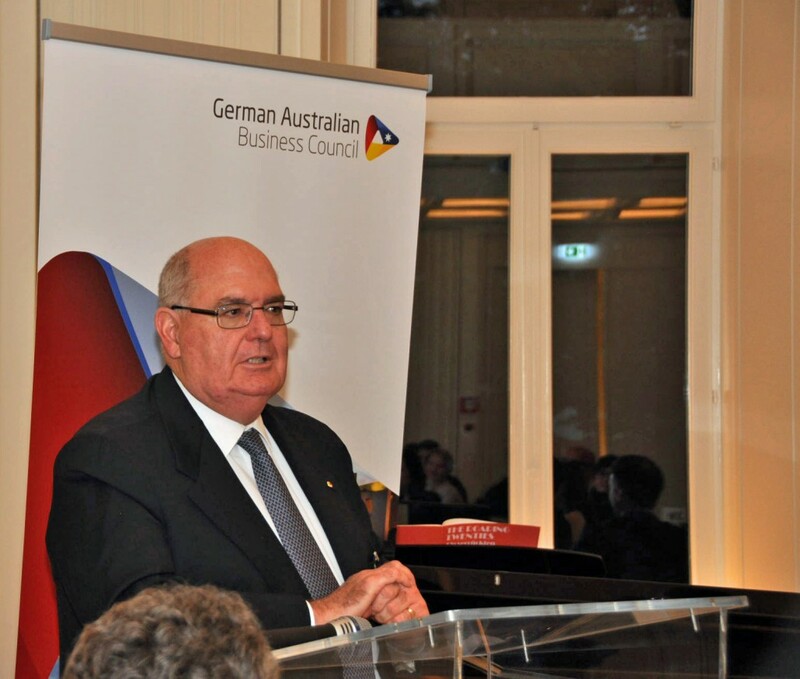 The German Australian Business Council would like to thank them once again for their ongoing support.